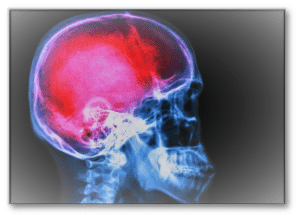 A mild traumatic brain injury (mTBI) can be caused in a variety of ways including an auto accident, slip and fall, explosion or while playing sports. You ability to recover just compensation for your injuries depends in large part on your ability to prove the severity of your injuries. Generally, the more severe your injuries, the higher your potential compensation. Many traumatic brain injuries, including mTBIs like concussions, will not appear on MRIs or CT scans in the absence of one or more serious symptoms. Those may include seizures; vision problems; loss of consciousness; as well as impaired speech, memory or coordination. In many cases, this opens the door for defense attorneys to argue that the lack of imaging demonstrates that you did not suffer a traumatic brain injury. This is not true and there are many other ways to prove that you suffered a traumatic brain injury in the absence of medical imaging. The overall objective here is to illustrate your life before and after the mTBI incident. First, it is imperative to collect crash reports, police or EMS incident reports and emergency room reports. These reports must be carefully reviewed to note anytime symptoms of a head injury were mentioned. The next step is to collect your medical records not only from your primary care physician, but also any neuro-specialist who may have evaluated and recommended a rehabilitation plan. These records will show the status of your general health prior to the incident. They will also be essentially in showing the negative impact that the incident has had on your overall health. Lastly, but just as vital to your case, is to get testimony from your family members. Specifically, noticeable changes in personality, mood, sleep problems, anxiety or depression, other physical or mental disabilities since the incident. They are in the best position demonstrate the contrast in your quality of life before and after your traumatic brain injury. Most importantly, they can speak to the impact that your injury has had on your family dynamic and the negative impacts on your day-to-day life. Below are a few commonly asked questions related to traumatic brain injuries. For more information visit our Traumatic Brain Injury Attorney page. If you or a loved one has sustained a traumatic brain injury, call the attorneys at Sieben & Cotter. We have the experience to get you the just compensation that you deserve. Let us take some of the stress off your shoulders and help you sort through the confusion. Call Sieben & Cotter at 651-455-1555 to arrange your free and comprehensive consultation, or send a request for more information.